Let’s talk about Sunday’s TV! SUPERGIRL: Um, whoa Jon Cryer. I was skeptical about his casting—he’s a great actor, but it felt like an odd fit for this particular show and this character—but he was great. 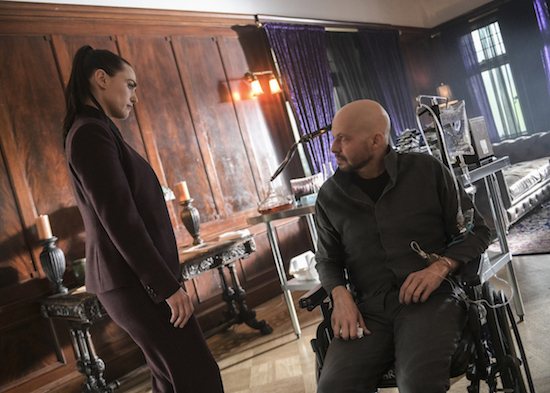 His version of Lex had a great push-pull with Lena. And, yes, of course he was playing his half-sister, but yowza, his deception ran deep. And how fun was his escape, complete with bonkers laser and mines, set to classical music? Outside of the crossover, this was my favorite episode of the season. AMERICAN IDOL: This felt like the best group of auditions of the season? Yes, there were a lot more people who didn’t make it through, but it felt like the talent was overall better. Though it was odd to start with someone who didn’t get through—it feels like normally these kinds of shows set the tone with a good/great singer. Early standouts from the two hours included Jacob Moran, (the return of) Alyssa Raghu, Lauren Engle, Gaba, and Ashley Hess. THE SIMPSONS: This was…a weird episode. Outside of the e-sports, it felt like it very easily could have been set in 2000. Uh, Tiger’s (long-dead) father is the sports-pushing one you focus on? And Lisa’s tantrum felt out of character? So very odd. BOB’S BURGERS: The episode was fine, but fairly forgettable. Which happens!